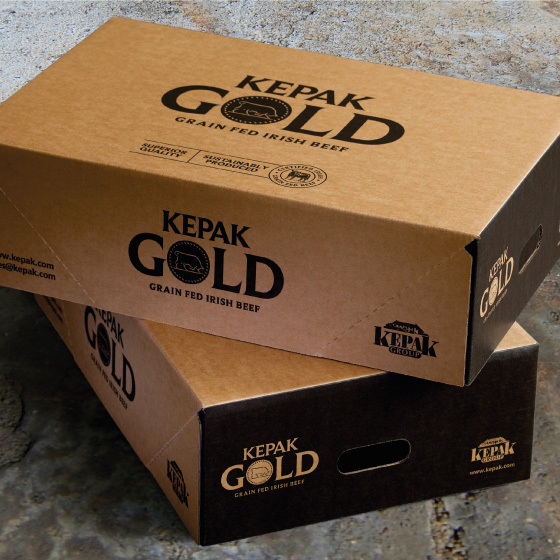 Kepak Gold is a meat brand with a a less than trendy proposition – it’s not grass-fed. We’re used to seeing images of cattle grazing freely in the Irish countryside accompanying the message, ‘grass-fed Irish beef’. It sounds great and it is but not everyone wants it. 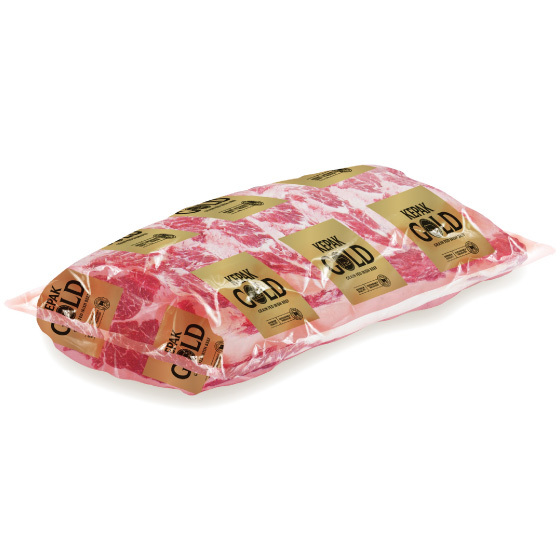 In Italy, the most desirable beef is ‘grain-fed’. Indeed many grass-fed Irish cattle are transported on-the-hoof to Italy to be finished on grain. 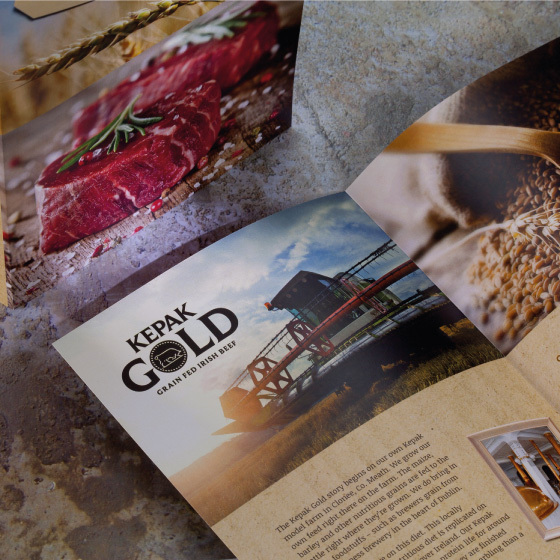 Grain fed beef is consistent and can result in extremely high marbling. 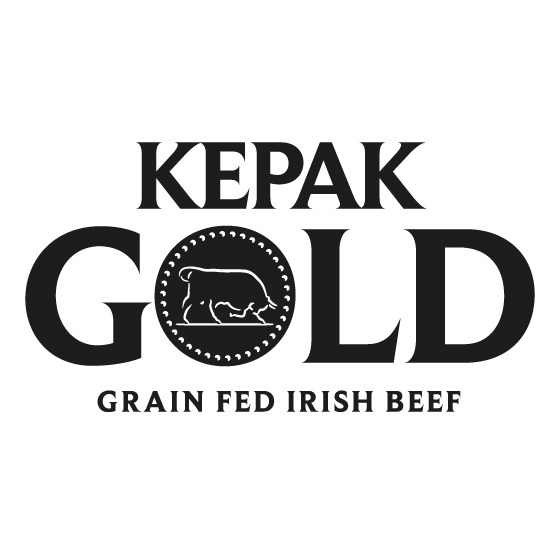 Kepak Gold is a grain-fed Irish beef product which caters to this market. Our job in re-branding it was to express these qualities clearly. We built the ‘grain fed’ line into the logo. 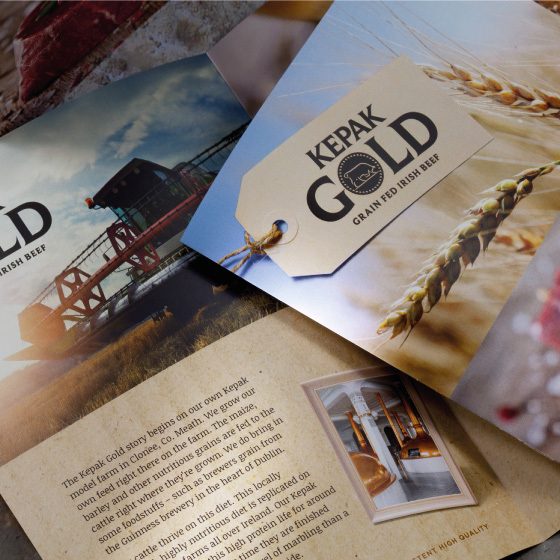 We kept strictly to a palette of golds, tans and browns using the natural substrate of the packaging to give the brand a modern, authentic quality. 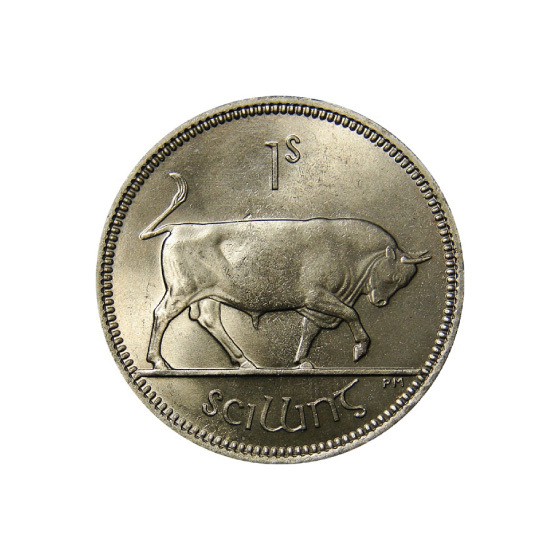 The logo has a strong, authoritative quality, the marque is a nod to the old Irish shilling, a play on the ‘gold’ name. 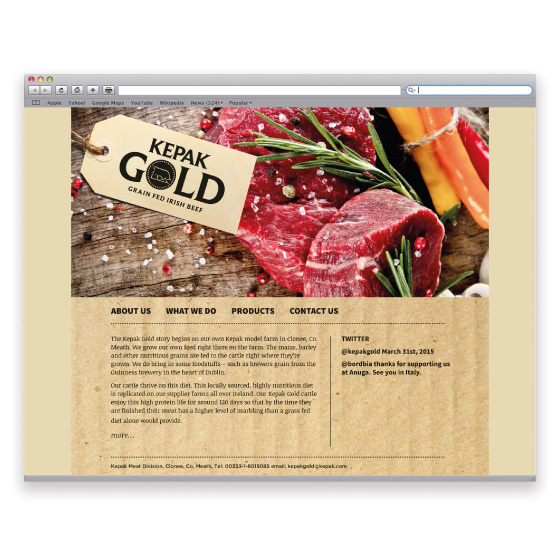 © 2015 Design for Market All Rights Reserved.